Baby - How Much Does It Cost To? An in vitro fertilization (IVF) can be the answer to pregnancy problems of one or both partners. Literally, “in vitro” is a Latin phrase that means “in glass.” This procedure involves gathering eggs from the ovaries and mixing them with a sperm in a laboratory dish. The fertilization takes place in the glass dish in the laboratory; hence, the name test tube baby was born. According to the Centers for Disease Control and Prevention, over one percent of all the infants born in the U.S. yearly are conceived using this technology. However, the cost of IVF is not low. The question of how much is IVF has been asked by many couples who are getting hopes for this kind of procedure. This article will discuss how much does IVF cost. The usual cost of IVF ranges from $10,000 to $15,000 for one cycle. The price includes one cycle of IVF, which means reproductive cycle monitoring, administering of drugs, harvesting eggs and sperms, fertilizing them in a laboratory, and implanting them to the uterus. This also includes all laboratory and professional fees. Age. Take note that IVF is not always a successful venture. Usually, the success rate falls down when a woman becomes older. Those who are under 30 have one in four chances of success with this technology while women over 40 have one in ten chance of success. Number of IVF cycles needed. Gaining success in IVF is not usually a one-shot basis. At times, couples undergo multiple IVF cycles to successfully conceive a baby. There are lucky women who successfully conceive after one IVF cycle but other women may need to undergo two to six cycles to succeed. Unfortunately, there are some women who are unable to conceive despite multiple IVF cycles. If the average cost of IVF is $12,500, you’ll spend $25,000 for two cycles and the price goes higher the more IVF treatment cycles you undergo. Payment and refund programs. Some fertility clinics offer payment programs that make the treatment more affordable for you. Others have refund programs where you are required to pay $20,000 to $30,000 but the clinic will refund some of your money in case you don’t get pregnant after three to four IVF cycles. Additional assisted reproductive technologies in line with IVF cost extra. This includes treatments like ICSI, assisted hatching, pre-implantation genetic diagnosis (PGD), in vitro maturation, and the like. An ICSI treatment may be around $1,000 to $1,500 while PGD can cost $3,000 or more. 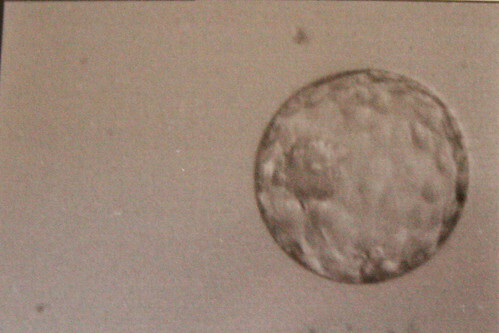 Embryo freezing can also add up to the cost of IVF. This involves initial freezing and storage of good quality embryos that can be used in the future. Getting an egg or sperm donor can also mean an additional cost. An egg donor can be priced from $25,000 to $30,000 per cycle while a sperm donor can be $13,000 to $17,000 per IVF cycle. Understand that IVF is not for everyone. Talk with a medical professional regarding this option and see your chances of success. The Baby Center website has a complete line of information regarding IVF including how it’s done, the treatment process, the success rate, and pros and cons. Make sure to get a qualified professional to help you with the procedure. IVF.net lists all clinics around the world that specialize in IVF. Take note that choosing a good clinic and physician to do the job for you can increase your chances of safety and success with this treatment method. Infertility Resources for Consumers also has a wide database of infertility IVF clinics all over the United Sates. Parents.com, on the other hand, lists the 10 best fertility centers today. Before signing up with a fertility clinic, make sure you have a written copy of the inclusions and terms and conditions of the IVF procedure. This is especially true if you are getting payment or refund programs in line with the IVF treatment. Not all insurance plans provide coverage for IVF treatments. However, 15 states in the U.S. mandate infertility insurance coverage that can help you manage the cost of IVF. GrowingFamilyBenefits.com lists all the states and their laws mandating infertility insurance coverage. Having a baby can be the most wonderful experience you will ever go through. However, these miracles don’t come cheap! Some people have only a few months to prepare themselves for this life-changing experience, while others have been planning it for years. Irrespective of your mental preparation, you have probably asked yourself time and time again: ” How much does it cost to have a baby ?” Well, the costs will be hefty. The following article will focus on the costs that come with the delivery of a baby. In addition, the prenatal costs and other motherhood expenses are discussed, as well as the cost of raising a child. The costs of having a baby are normally covered by your health insurance. With insurance, you can expect to pay 500-3k, depending on your coverage. Also, some insurance companies have you pay part of your expenses. Besides the insured expenses, there are still out of pocket expenses, such as co-pay. without insurance: vaginal delivery costs around $8,000 to $12,000. without insurance: C-section (Cesarean) delivery costs around $13,000 to $20,000. hospital room and board. Vaginal delivery is usually 1-2 days, C-section is about 3-4 days. Apart from the type of delivery, the geographical location will be of influence on your baby delivery cost. It is cheaper in the south of the US, and more expensive on the west coast and northeast. Complications. Vaginal delivery with complications are estimated to be about as much as C-section costs. The length of stay in hospital determines your additional costs too. Each day will be quite expensive. If you want a private room, you have to pay extra. Premature babies need extra care. The baby could need to stay in a neonatal IC unit for weeks, increasing the with $10k-$30k. over-the-counter prenatal vitamins, such as folic acid, cost around $15 per month. prenatal care can cost up to $2,000, depending on your insurance policy. childbirth education and classes cost around $50-$200 per class. Maternity clothes prices can be cheap or expensive, as they come unbranded or by designer. But when you share them with other mothers, they can be practically for free. Baby car seats cost around $100. A crib costs around $100. Baby monitors cost $15 each. Diapers. Buying in bulk can save a lot, as a 250 pack of diapers costs about $40. Wipes. A box of wipes costs around $10 to $15 for 400 pieces, which lasts only a few weeks. An alternative is to use washcloths. If the parents had a job that they cannot continue for a while, there are opportunity costs. Calculate your lost income as a cost too. Fortunately, you could adjust a bit, since you won’t have time or energy to go out as much anymore 🙂 ! Lastly, raising a child will be expensive too. Estimates are hard to give, as it depends a lot on your geography and income level. However, the U.S. Department of Agriculture provided this table. Here’s what you can expect your annual child expenses to be through your child’s 10th birthday, depending on your income. 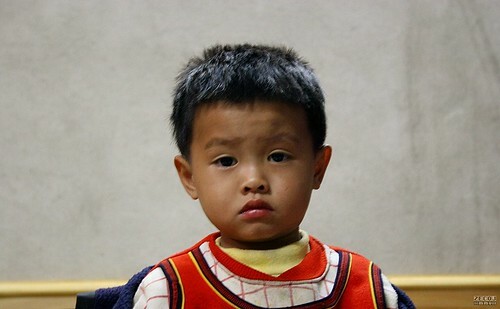 For more info on raising costs, babycenter.com as a tool that lets you calculate the cost of raising a child. Even with insurance, expecting parents spend on average $775 on out-of-pocket delivery costs. If you dont have insurance yet, you can still get insurance while you are already pregnant. Normally, your baby delivery is still covered that way, as insurance companies with group health plans are not allowed to treat pregnant women differently. Read more about that at the United States Department Of Labor. Let your insurance company know on time that you are going to have a baby. Some of them will require a pre-authorization for covering the delivery. Be sure to communicate openly with your insurance company, and ask what they need from you, and when. According to Anne Elixhauser PhD, who is a senior research scientist at the Agency for Healthcare Research and Quality, the hospital charges quite a bit more than it actually costs them. Typically, the actual cost to the hospital is about 30% of what they charge. If you don’t have insurance, this can be a useful piece of information when you negotiate the price. You can get a discount if you pay your bill at once, instead of seperate payments. Ask your hospital about this possibility. Babycenter.com can help to find a suitable hospital or a more homey alternative, a birth center. Ask friends and acquaintances with children if they have pregnancy items that they don’t use anymore.